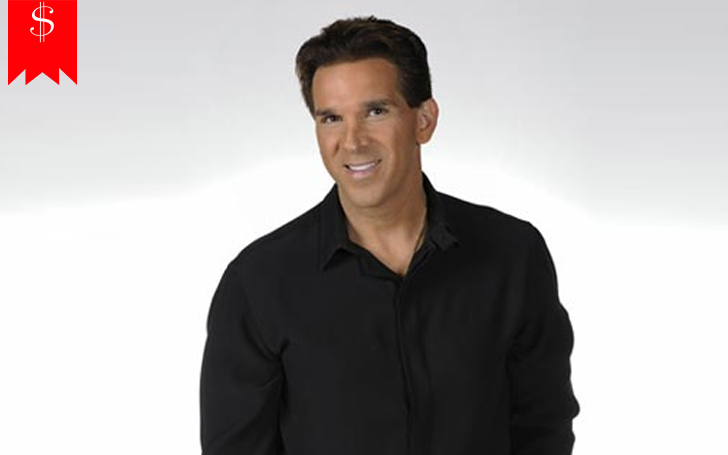 Erik Kuselias is a media personality who specializes in sports commentary and analysis. In this capacity, he has anchored several shows on different sporting activities both on radio and television. He is a well-known face/voice on US television/radio and he is recognized for the intelligent and entertaining manner in which he discusses sports. From the NFL to PGA, NASCAR, college football, and even fantasy football, this veteran sportscaster has done it all. Kuselias has been on ESPN2, ESPN Radio, NBC Sports Network, NBC Sports Radio, and several other major sports channels. Erik Kuselias was born on November 6, 1968. He was born and raised in Hamden, New Haven County, Connecticut. He was raised alongside four siblings including a brother named Christopher. He attended Hamden High School and was a star in the school’s baseball team. He received all-state honors among other highlights of his high school career. A number of his teammates like Jeff Bagwell, Brad Ausmus, and Mo Vaughn eventually became professional baseball players and made it into the MLB. For his college education, Kuselias attended Brown University in Rhode Island. His passion for baseball continued and he played in the first baseman position for the Brown University Bears. He graduated in 1991 with a double major in organizational behavioral management and public policy. He later bagged a JD degree from the University of Michigan Law School and he was a member of The Sports Law Society. After the completion of his legal education, Erik Kuselias joined a firm – Goldblatt, Kuselias, and Rashba P.C. – in his home town of Hamden where he ultimately attained the position of managing partner. In 1998, he was admitted into a Ph.D. program at the Columbia University School of Journalism, focusing on journalism and law with a dissertation on the economics of Major League Baseball. It is interesting to note that Erik Kuselias is a member of Mensa International, an agelong international organization exclusive to individuals with high IQs. Apparently, the legal profession became boring for him at some point and in the quest for a more interesting career, he ventured into broadcasting. Still practicing law and with virtually no broadcasting experience, Erik joined his oldest brother Christopher to co-host a one-hour weekly program on WELI-AM, a small radio station based in Connecticut. Following the success of their small radio show, Erik Kuselias and his brother Chris caught the attention of the ESPN Radio Network and consequently, they were invited to audition for the hosting roles on the network’s drive time program. The show was originally launched as The Sports Brothers but the name was later changed to The SportsBash. He became the sole host of the show after his brother left in 2005 to pursue other opportunities. His hosting duties on ESPN Radio began in July 2003 and by 2004, he got an additional assignment to the NFL which led to the launch of another show, The NFL. Kuselias’ hosting duties on The SportsBash came to an end in January 2007 and the following month, he made his debut as the host of NASCAR Now on ESPN2, providing coverage and analysis of NASCAR car races. He served as the host of NASCAR Now for just one year and was replaced by Nicole Manske when he left the show in 2008. In February 2009, he launched a daily sports talk show, The Erik Kuselias Show. He equally created and hosted the Emmy Award-winning show Fantasy Football Now on ESPN2. On January 3, 2011, he began co-hosting Morning Drive on the Golf Channel. A year later, he moved to NBC Sports, the parent company of the Golf Channel. More recently, he joined Genesis Communications where he hosts a number of sports talk shows on the company’s radio stations based in Florida and also on their digital platforms. See Also: Who is Billy Bush (Radio Host), The Wife, Net Worth, What is He Doing Now? Apparently, Erik Kuselias and his better half are also professional colleagues. His wife Holly Sonders (née Holly Niederkohr) is a famous sports show host and reporter. She joined Fox sports in 2015 and is widely regarded as one of the most important members of the network’s golf coverage team. Sonders’ path to sports broadcasting is quite similar to that of her husband. As a two-sport high school athlete, she played golf as well as basketball. She received all-district honors in golf throughout her 4-years of high school. She moved on to Michigan State University where she majored in journalism and also played golf for the school’s athletics team, the Michigan State Spartans. However, after incurring a knee injury which required surgery, Sonders took her focus off sports towards broadcasting.